Hello and welcome to Soccer in Slow Motion (SISM), an advanced skill training program. I’m Louie Mata, founder of SISM and long-time player and coach. The first question we get is: “what is soccer in slow motion”? Well let me start with a brief overview and share with you what we’ve learned over the past 8 years since we began. Soccer in Slow Motion was started as a method of training that involved breaking skills down into separate components, and teaching players slowly, but more efficiently. We saw the progress we were making with the basic soccer skills and began to teach more advanced tricks. We were surprised at how well players, and the young coaches I was mentoring, progressed in picking up new skills. By 2012 we began to get into more advanced skills and haven’t looked back. In my former soccer career I was a goalkeeper who also played as a forward. So we’ll say that I had pretty decent ball control skills. As a player I competed around the world, won 2 national futsal championships, played professional indoors, and went on to play D1 soccer on scholarship. I received my Bachelor of Science degree in Kinesiology from San Jose State University and minored in psychology. I then went on to coach with our N Cal Olympic Development Program, with men’s and women’s college teams, and many youth teams. So how does one go from this background to street and freestyle? When I began training in street soccer 6 years ago it was as if my soccer experience was of relatively little use. The ground combinations were at first as difficult as they looked, the panna moves ranged from looking simple to ridiculously complex, and the akkas will have you working on some for months trying to execute them. Now these terms are all common terms in the world of street soccer, but not so common to soccer players, amateur or professional. We’ll learn more about them later. What I can share with coaches and players of any experience level is this: After nearly 40 years in the sport, over the past several years I have seen the fastest level of skill development by training on the street soccer side. I’ve experienced it in my own learning as well as with those I’ve coached. The skills that I can now tap into far exceed those that I had when playing in my prime! By “far exceed” I mean I’m doing things I never expected to be doing, it’s even more fun when I tell players I used to be a professional goalkeeper. Can you think of any training method that might give you, as an experienced soccer player (and now a coach perhaps), such a gain in skill development? Street soccer has been around forever it seems, it’s what we think of when we talk about the greatest soccer players and their early development. This is a discussion that could go on and on. But what’s different between street soccer from 50 years ago compared to today? The underlying benefits continue to be the freedom to experiment, small sided game play, and very often involve playing in much smaller areas compared to the large soccer fields. So what’s different? It’s a new skill set that coaches do not have and therefore cannot easily coach. Many coaches mistakenly see “just the tricks” and think they do not apply to the game. We all started there. I started there. But today we have street soccer coaches to help teach both the coaches and players new skills to enjoy! SISM is the largest street soccer team in the USA and we’re right here in Northern California. We also happen to have top ranked players in the world as part of our team of 35 players from around the world. Once you as a coach learn some of the advanced skills, it’s much more fun to teach and compete against your players with these new skills. As a team you begin a renewed interest in skill development. Over the upcoming months we’ll continue to share insights, skills, video highlights, and more. This is the tip of the iceberg in terms of learning what street soccer and freestyle has to offer in terms of skill development. From my experience, it is the most relevant form of cross-training you will find, and now you’ve found it right in your backyard! 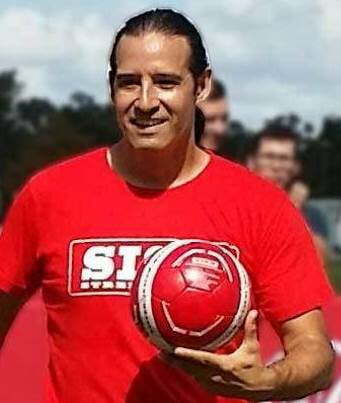 In our next article we’ll share how Karl Dewazien has been instrumental in bridging the gap between the image of street soccer and the need for changes in our approach to developing the next generation of soccer players. You’ve already seen some of those changes!